You don’t need me to tell you keyword research is important, as is finding the best keyword research tools for that purpose. Because if you make a mistake here you’re going to achieve the SEO equivalent of emptying your bladder over the side of a ship…during a hurricane. You know you need a great keyword tool, but the problem is there are literally dozens of them on the market. They all make the same promises – like revealing those untapped keywords nobody, anywhere knows about. But how many of them actually deliver? 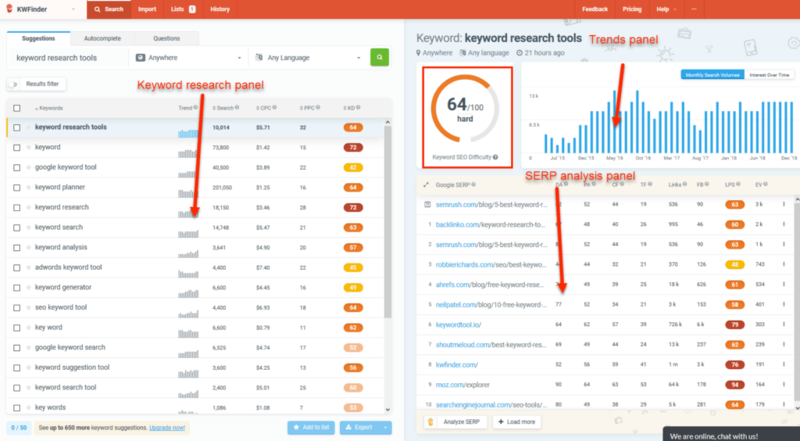 That’s what we’re going to look at today – testing and evaluating the best keyword tools for SEOs and affiliate marketers. Okay, before we get into the nitty-gritty of the different tools, I thought it might be a good idea to take a second here to explain what they actually do. And it generates a list of keywords related to your original search term by harvesting data from one or more data sources – typically from search engines. Most other blog posts on this topic try to divide keyword tools into categories of either “traditional” or “competition”, but I don’t see the point in doing that. Because the free tools all tend to be traditional in that you type in a seed keyword and they generate a relatively useful list of results. And almost all paid keyword tools offer some kind of URL or competitor analysis function, in addition to being “traditional” tools. Why Even Bother Using A Keyword Research Tool? This is a valid question. After all, why not just come up with your own keyword ideas and start creating content around them? Sure, do that as long as you’re okay with throwing away the next few months of your life. 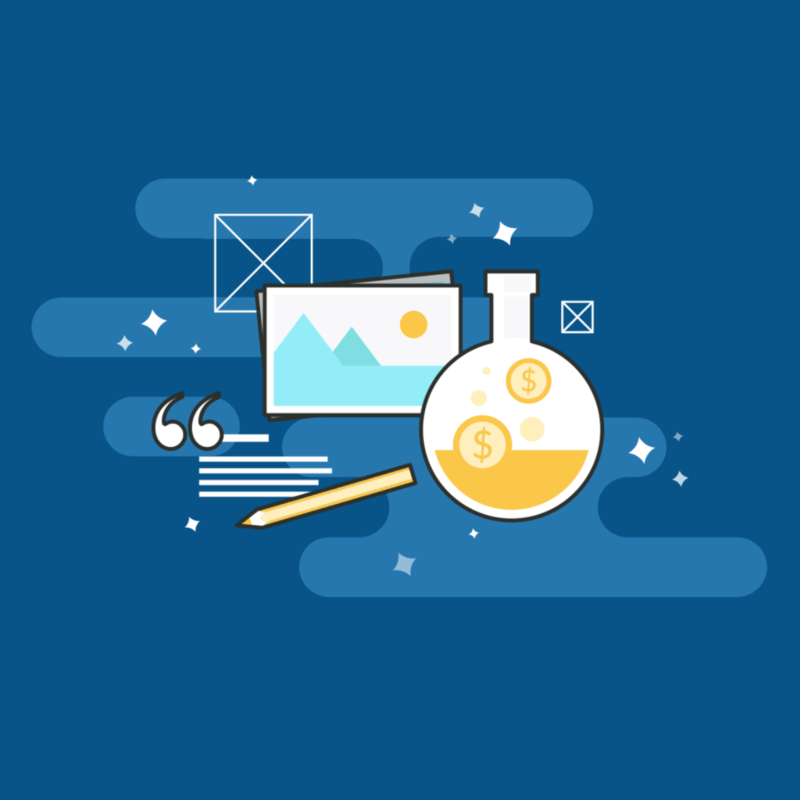 Not only do they directly speed up the research process, but they give you the keys to a myriad of insights you otherwise wouldn’t have access to. The goal, of course, is to uncover ‘easy to rank’ search terms that’ll offer a positive ROI. It would take you hundreds of hours to produce the same results even the crappiest keyword tool can spit out in under 30 seconds. Useless trivia: Once upon a time ago, I actually did manual keyword competition research for a niche site. I cried a lot that weekend. Basically, they give you the kind of information that allows you to strategically target keywords as opposed to shooting blind. Another benefit is they provide a framework to create content around – you will have keywords that are statistically proven. Let’s take a quick look at what free keyword tools are available to you, and whether they’re worth spending a lot of time on. This is the OG of keyword research – the grandpappy of all keyword tools. Or it was until Google changed its mind about sharing data with marketers. Because Google hates SEOs and affiliates…allegedly. What most marketers forget – or choose to ignore- is that the Google Keyword Planner is part of the Google Ads (formerly Google AdWords) platform. So its original purpose was as a PPC (Pay per Click) research tool, and not as an organic keyword tool for SEOs or affiliates. The “Average Monthly Searches” metric is pretty much useless. 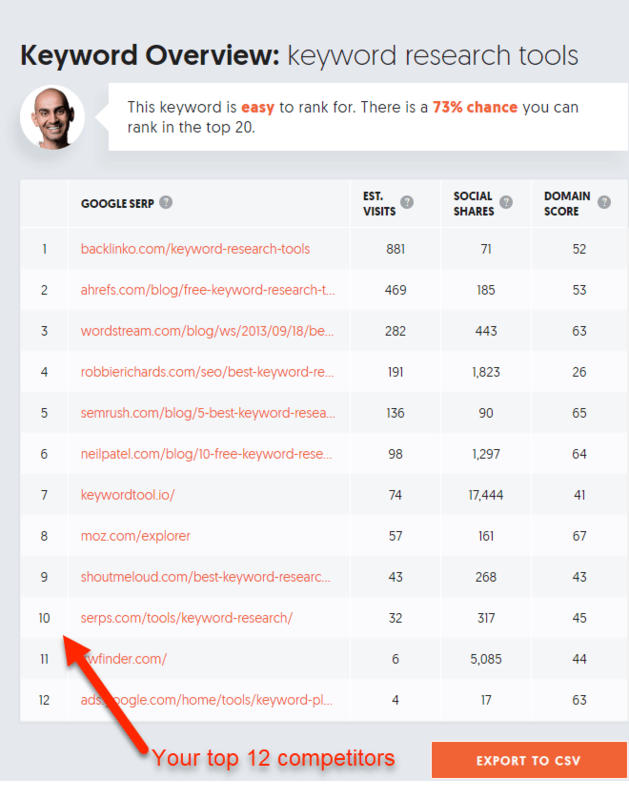 I would never build a website based on their keyword competition data. Ever. What the Google Keyword Planner did well was to provide you with a quick and easy way to generate a list of related keywords for a niche site. But – as of the time of writing- you need to add a payment method to your AdWords account before you can use the GKP properly. Basically, the Google Keyword Planner has had its day, and it’s time for people to move on. It’s not free – you have to set up a payment method to use it. Then you can add in everything else, like the pre-millennium interface, and search volumes so vague they could run for political office. Once upon a time, this was Ubersuggest.io. But Neil Patel saw the huge potential in this free tool and acquired it a few years ago. Since then the development team has spent a lot of time adding new features to it, making what used to be a barebones “autocomplete tool” far more visual, and far more useful. The frontend shows you search volume, keyword (SEO) difficulty, paid difficulty and CPC data. A nice touch is that it also displays annual search volume trends, so you can plan around those seasonal lulls. You can also choose to simply reverse engineer what your competitors are doing by analyzing what keywords their domain ranks for, how much traffic they generate and even how difficult it might be to outrank them. And even which pages on their domain get the most traffic, data you’ll rarely find outside paid premium tools. So, Ubersuggest is more than just your average keyword research tool – it’s a suite of tools. The SERP analysis features are excellent considering this is a free tool. The keyword difficulty score is way off right now. There’s a certain amount of beauty in simplicity, which is what I like so much about Keywords Everywhere. This plugin for Google Chrome or Mozilla Firefox provides you with some extra data via the Google API. Doesn’t sound all that exciting, does it? But the fact that the data is available within your web browser makes it instantly accessible – you don’t need to login to anything else. That simple feature alone won this tool a lot of fans. In addition to displaying “related keywords”, it also lists dozens of other keywords that “People have also searched for”. So you get an at-a-glance overview of what types of keywords are related to your seed keyword, an approximate search volume, CPC data, and even a competition score. Keywords Everywhere is what Google Keyword Planner should have evolved into. The downside here is that you’re relying on Google’s keyword data, which they’re doing their very best to hide from the general public. Do keyword research directly within your web browser. Relies solely on whatever data Google chooses to share via their API. This is a keyword tool that does something very simple, but incredibly valuable – it generates a list of keywords based on Google’s AutoComplete feature. It’s not the only keyword tool that does this, but it’s more accessible than anything else I’ve come across. It also generates questions and “related searches” based on your original seed keyword. Its “unique feature” is that it presents keyword data in a visual format. It is, but only if you want to develop neck, back, and shoulder strain. Fortunately, you can also arrange the data in table format. If you’re looking for a free keyword research tool that generates massive lists of long-tail keywords, you could do a lot worse than check out ATP. It automates the process of harvesting long-tail keywords from Google, free of charge. There are no filtering options. None. You have to download CSV files and do it manually. Oh, we’re adding Google Search Console to the list? Yes, and for entirely valid reasons. Obviously, Search Console can only be used if you have a website with traffic coming to it. So if that’s not you, then skip this bit and head over to the paid keyword tools section of our review. The thing is that very few webmasters (is that still a word?) pay attention to all those extra, and very specific, keyword queries you’ll find in Search Console. There’s keyword gold in them thar hills! And – as the screenshot says – you won’t find these keywords in most tools. Because some of them have never been searched for before – Google estimates that there are something like 2 trillion never-before-seen keyword searches every single year. It’s one of the only ways you can find out exactly what keywords people use to find your site. Yes, you can do that in Google Analytics, but only when you link it to Search Console in the first place. 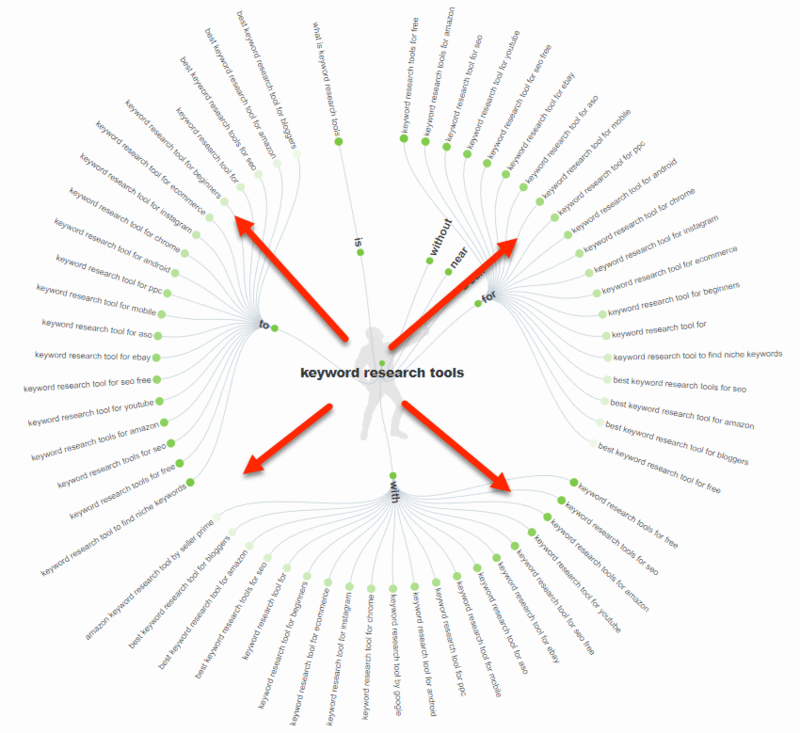 It’s not really a keyword research tool…but I still love it. This isn’t a keyword research tool in the true sense of the word. Instead, think of it as more of an idea generator. It’s not even remotely refined – you just type in a search term and it starts…well…pooping out related keywords. Probably the best use for Keyword Shitter is if you’re having a bout of keyword researcher block. Instead of just staring at your screen going “…I got nothing…I’m wasting my life”, let this tool throw some ideas your way. So now that we’ve taken a look at the free keyword tools it’s time to take on the big hitters of the keyword research industry. In an ideal world, free keyword tools would be just as powerful as ones that cost anywhere from $29 to $99 per month. But we don’t live in an ideal world. 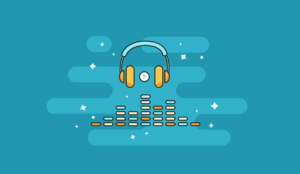 There are dozens of different paid tools on the market, so there’s no way for us to cover every single one of them in a way that’s useful to you. We simply do not want to waste YOUR time. Something else to consider is that the days of dedicated keyword research tools are over and done. Any of the paid tools we list here are part of an overall suite of SEO tools. So they’re hybrids rather than dedicated research tools. In fact, some of the dedicated, old school keyword tools have been left behind as a result of this change in user needs and expectations. That’s just the nature of this game – you either compete or you become irrelevant. And you’ll probably be surprised at how quickly certain premium tools are becoming old news. 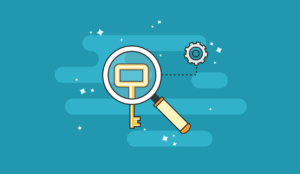 What features of a keyword tool are most important to you? So that’s exactly what we measured. Ask any sensible affiliate marketer or SEO what one specific keyword metric they really care about, and they’ll most likely tell you it’s keyword competitiveness. But keyword difficulty scores vary wildly from one tool to the next, so how can you tell which one is correct? The honest truth is that you can’t and shouldn’t put all your faith in a keyword difficulty score. Just because Tool X says a keyword has little or no competition doesn’t mean that’s true. 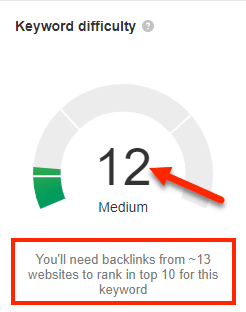 It simply means that according to the tool’s internal metrics, this is how difficult it will be to rank for that specific keyword. You should always, always, manually check the SERPs before building content around a keyword. Basically, ask yourself if you can publish a better blog post than your ten competitors. And can you get more backlinks to that page than they have? 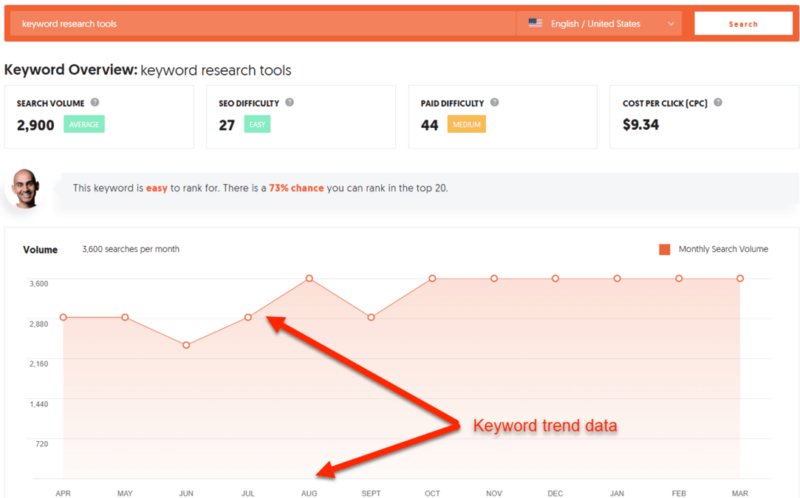 Having the most expensive keyword tool on the market might make you feel better about yourself. But unless it can churn out several hundred (or thousand) keywords for you to analyze and choose from, then you’re probably wasting your time. Now, the caveat here is that search volumes should never be treated as absolutes – regardless of what keyword tool you use. Because some tools use third party data sources (Ahrefs), while others use Google’s data (KWFinder). So you can’t compare oranges with oranges here. Equally, you cannot rely on Google to accurately report search volumes because it’s not in their interest to help SEOs or affiliates make informed decisions on this stuff. It’s easy to become overawed by how many keywords a specific tool can suggest. But sheer volume by itself isn’t useful. In fact, it can hinder you unless you have ways to filter through your keyword data in an effective manner. You’ll see later in this review how certain keyword tools spat out anywhere from 19k to 32k keywords for a single search term. How would you feel about exporting 32,000 data fields, and then having to filter through them in Excel or Google Sheets? Personally, I put a LOT of emphasis on this one feature. Why is SERP analysis so important? Well, assuming we have the right data in front of us, humans are still much better at evaluating keyword difficulty. Human beings are pattern matching and recognition “machines”. It just takes us longer to do it, but we can interpret the data in a way no AI system currently can. So, while I recommend using a difficulty metric to narrow down your suggestions, you should always do a manual analysis before giving any keyword the green light. As I briefly mentioned earlier, your ability to do this effectively relies on data. Now that you understand our logic, let’s look at how well our selection of paid keyword tools performed based on the above measurements. This is one of those tools that could have disappeared off the radar, but thankfully it didn’t. There’s a lot to like about KWFinder because there’s a lot going on underneath the hood. It’s basically Budget Ahrefs, but don’t let the “budget” tag fool you. The first thing we have to give props for is the interface. It’s nice to have one that was obviously designed for the end-user…not for the developer. Okay, at first glance this screen looks really busy. But you get used to it very quickly, to the point where you feel kinda weird using other tools that don’t offer the same unified view of your data. I personally love that I don’t have to open a separate tab for SERP analysis, keyword difficulty, related keywords, search volume trends, etc., etc. The free version of this tool is limited to 50 searches, which is fine. But when you look at the paid versions (including their Agency package) you’ll see you’re limited to 700 search results per keyword. Now, I know some people won’t see a problem here, but I do. 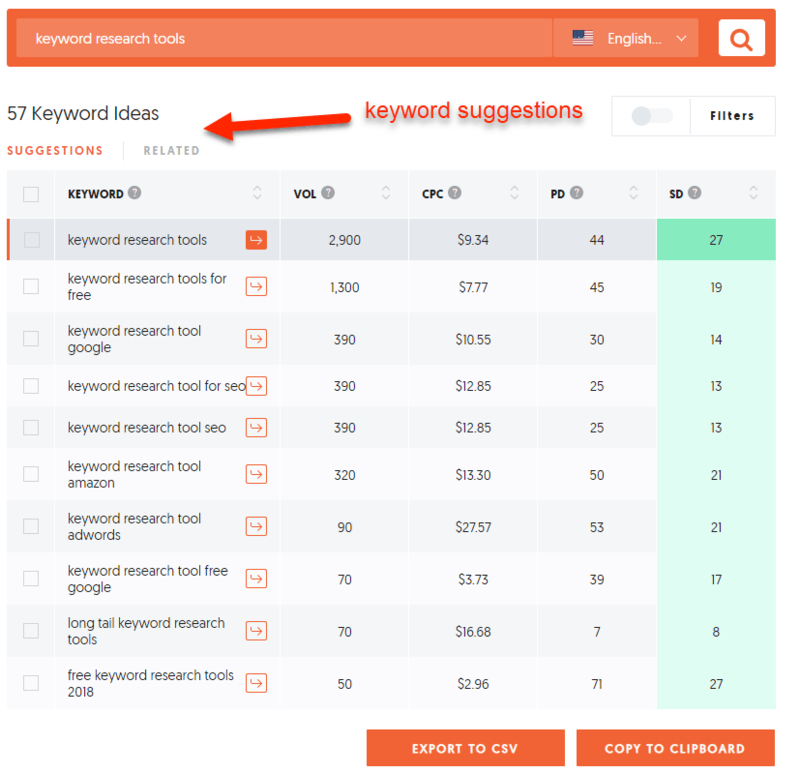 700 searches per keyword is pretty poor when compared to other tools that can give you tens of thousands of keyword results, and all without breaking a sweat. The question(s) I ask myself here is: How many keywords aren’t being returned…and are they the ones with the most value? One aspect of KWFinder that’s head and shoulders above most other tools we reviewed is the data filtering. I find it really intuitive and it’s quick AF too. KWFinder bases its difficulty score on a number of different metrics, including Moz and Majestic. 56/100 indicates this is a really tough keyword to rank for, but you’ll see how that compares to other keyword tools later in the review. Your SERP analysis data is available right from the main screen – there’s no need for additional tabs or windows. From left to right you have Domain Authority, Page Authority, Citation Flow, Trust Flow, Facebook shares, Link Profile Strength and Estimated Visitors. We have no idea why they include how many Facebook shares a URL has, especially considering Facebook content isn’t indexed by Google. Note: One feature I’d love to see in KWFinder is collapsible panes- like being able to minimize the SERP analysis window so you can just focus on finding more keywords, and vice versa. This is a keyword tool with a bright future ahead of it – it has already left some of its more expensive competitors eating its digital dust. They completely nailed the interface – it’s hard to find fault with it. The limited number of returned searches (700) is the lowest of any of the paid tools in this review. SEO’s or affiliate marketers on a tight budget but who need access to premium quality tools. If you’ve been around the SEO scene for more than a few weeks you’ll have already heard somebody mention Moz. It used to be SEOMoz, but they dropped the “SEO” part a few years back. Anyhoo, they’ve been around since 2004, so they know a thing or two about keyword research. Moz Keyword Explorer uses clickstream data which according to Moz is “…the data collected during clickstream analysis which includes pages a user visits and the sequential stream of clicks they create as they move across the web, hence “clickstream data”. Or to put it another way, this is data collected from a wide variety of sources besides Google i.e. other search engines, mobile apps, data mining tools, etc. Why not use Google’s data? Because Google is doing its level best to hide data from SEOs and marketers. It’s not unreasonable to believe that Google will eventually turn off their free keyword data faucet. I like the way Moz presents their keyword data – it’s modern and visually appealing. You don’t have to spend very long figuring it out. And you might also have noticed that along with all the usual stuff (search volume, keyword difficulty, etc.) Moz also displays ‘Organic CTR’ and ‘Priority’ scores. Organic CTR represents the lack of other SERP features that distract searchers from clicking on organic links. Higher is better. ‘Priority’ is a combined calculation of search volume, ‘Organic CTR’ and keyword difficulty. Again, higher is better. Moz caps keyword suggestions at 1,000 for each seed keyword, so…we got 1,000 matches for our seed keyword of “dog harness”. Moz uses the PA (Page Authority) model to calculate how difficult a keyword will be to rank for. Oddly enough they’ve just updated their internal keyword scoring system (DA 2.0) as of March 5th, 2019, so we timed this well. When we checked “dog harness” Moz gave us a difficulty score of 39. This puts it squarely in the mid-range of scores as presented by all the other keyword research tools. Moz Keyword Explorer does offer you the ability to create keyword lists from the keyword suggestions it generates, but that’s pretty much where the collation features end. Besides that, you have to export the data to a CSV file and work on it offline. That’s not what you’d expect from a keyword tool that costs this much per month. Okay, positive points here are that Moz Keyword Explorer shows you information like Page Authority, Domain Authority, Linking Root Domains to Page, Linking Root Domains to Root Domain (that’s a mouthful). It also shows you if Google AdWords blocks or Local Search results are present. Nothing on featured snippets, video thumbnails, knowledge graph, or any other SERP features that might affect your ability to rank on that page. Or to even bother trying in the first place. I couldn’t help but the love interface. Not only is it clean and well laid out, but Moz makes good use of visuals to present data in a way that doesn’t overwhelm. The ‘Priority’ metric is also an interesting addition. 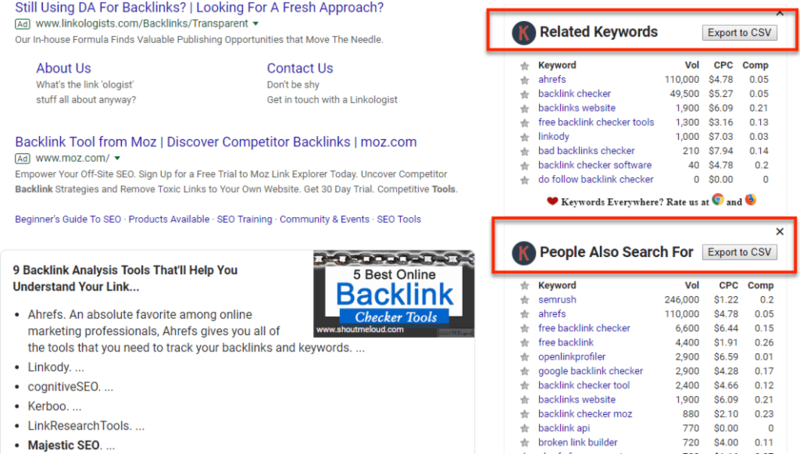 At this stage in the game, Moz should be leading the pack in keyword, backlink, and competitor analysis tools – especially considering they had a 6-year head start on many others in the industry. But they’ve fallen so far behind tools like Ahrefs or KWFinder that I’m struggling to understand how they’ll compete in the near future. Ahrefs can, for example, generate 30x as many keywords in a single search, for the same price, and also has a vastly superior backlink analysis tool. SEO’s or affiliate marketers who can afford to pay over the odds for a keyword tool. I have a lot of respect for the SEMrush team because they’ve been in the game for over a decade now. Their keyword tool has been a firm favorite of many SEOs and affiliate marketers for years. But how has it held up over time, especially considering their ‘Keyword Magic’ tool is finally out of Beta? One annoyance is that you have two keyword difficulty metrics displayed on the same page – KD (organic) and Comp (PPC). If you understand the difference between the two then this isn’t a problem. But if you’re a new user you could be left scratching your head, which is never a good thing. This is one of the overall failings of SEMrush – it tries to be all things to all types of keyword researchers. That’s an admirable goal (if that’s the case), but it also means their interface lacks focus, and it’s starting to show. SEMrush returned 17,779 keywords for our test phrase of “dog harness”, which is more than enough data for anyone to work with. You’ll need to filter through this much data to find the truly valuable, low comp stuff, but this huge number of keyword suggestions gives you plenty of scope to do that. SEMrush uses domain authority (DA) to evaluate how difficult it is to rank for a given keyword. Or they did last time we checked. Or in other words, it’s extremely competitive, and probably not worth your while pursuing. The problem is that this result conflicts with the data we found in other products, and by a large margin. In fact, it’s anywhere from 20% – 60% higher than the difficulty score produced by other tools. So, either everyone else is wrong, or SEMrush needs to take another look at their keyword difficulty scoring. 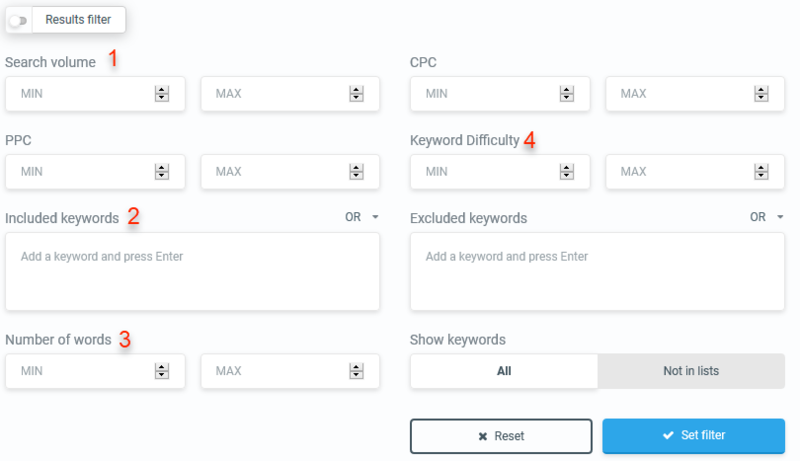 SEMrush allows you to filter keywords using all the usual toggles like word count, search volume, and keyword difficulty. But they do have a very neat filter worth mentioning: Filter by SERP Features. Because it allows you – amongst others things – to root out keywords that have zero SERP features, which should make them easier to rank for. The Keyword Magic window gives you an overview of a number of important metrics all in one place. The Keyword Difficulty score is way off. It’s been this way for years, so that’s not a good sign. Marketers or bloggers who need a combined SEO and PPC tool. Here we have a relative newcomer to the keyword research tool scene, arriving in 2013, but managing to introduce itself to a wider audience thanks to AppSumo. First things first, the interface needs an overhaul. Or a makeover, at the very least. I’m fine with the MVP (minimum viable product) approach but SERPstat takes that to a new level. There are benefits in offering a minimalist interface, but a splash of color wouldn’t go astray here. There’s nothing “wrong” with the color scheme, it’s just that it feels very 2004. So, how does it actually perform? The keyword data is presented in the usual way i.e. volume, keyword difficulty, SERP features, etc. The “Social domains” metric is kinda cool though. It shows you whether the likes of Amazon, Wikipedia, Facebook, Twitter or other social platforms appear in the top 100 search results for this keyword. This would be massively more useful though if it only focused on the top 10 – 20 positions. Who cares what’s ranking on page 3 or 4? Similar to other premium tools, SerpStat calculates KD based on how many incoming links a specific URL has. This approach makes sense because any website that’s had its Title and URL optimized for the same keyword means business. Basically, they know what they’re doing, so you have your work cut out for you. 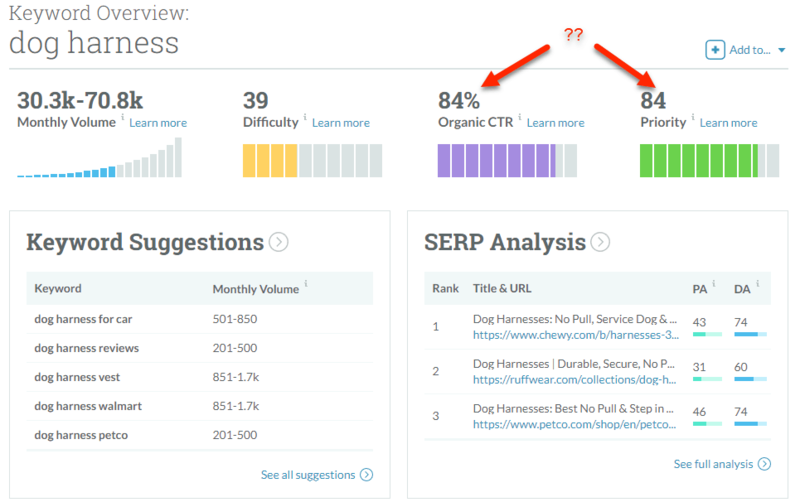 So, what happens when we analyze our keyword “dog harness” with SerpStat? We get a keyword difficulty rating of 11.84. What’s really interesting about this will become apparent when we review the final tool in our roundup. No cheating! And now the not-so-good stuff. You can only sort data in its own columns. Apart from that, you have to export it and manipulate it externally. Extremely accurate keyword difficulty score, and comparable with one of the market leaders. The lack of data filtering or collating is a major oversight – sorting by ascending or descending order is completely inadequate. Affiliate marketers who need or want a no-frills keyword research tool with multiple foreign language databases. And last, but by no means least, we come to Ahrefs. We have to be honest here in an effort to offer full transparency – we love Ahrefs (our review). It’s our “go to” keyword research tool. No, but it’s bloody close. Ahrefs is a “hybrid tool” in that it offers keyword research, content marketing, rank tracking, and site auditing tools. But its real strength is in helping you find those low competition keywords you struggle with – we’ll touch on that more shortly. The ‘Keywords explorer’ interface mixes easy visuals with complex data, but without overwhelming you. Basically, it’s easy on the eyes and focuses on positive user experience. Far too many keyword tools just dump data on the screen in a way that developers can work with but end-users get migraines from. Ahrefs doesn’t make that mistake. 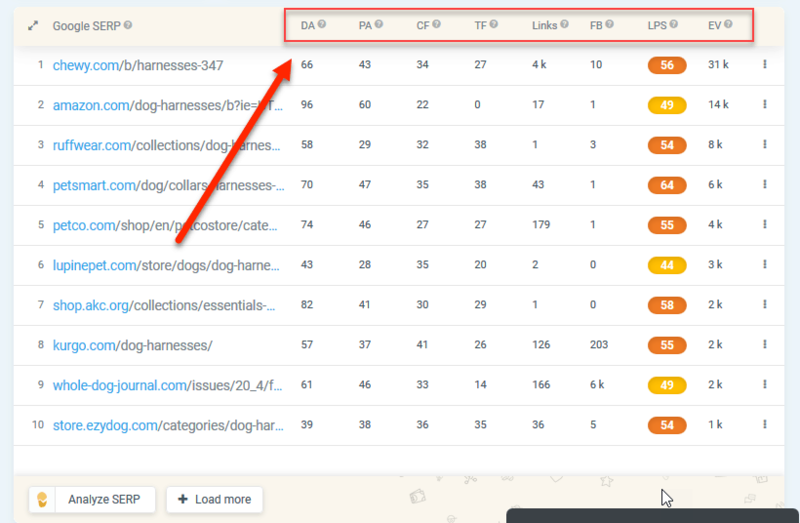 What happened when we asked Ahrefs to find additional keywords related to our seed keyword of “dog harness”? We got 32,523 keywords that contained variations on our seed keyword. That makes it the hands-down winner for the sheer number of keywords churned out by any tool in this review. The only teeny, tiny niggle here is that it can take several moments for it to return the initial search results. But filtering through an internal database of 150+ million keywords (for the US alone) obviously takes a bit of processing time. Because these “parent” topics represent an entire branch of seed keywords you might never have considered before. A perfect example of this is “service dog vest” in the above example – that would make a great additional category page for a niche site focusing on dog harnesses, or even for a larger authority site on dog clothing. An additional benefit of the parent topic feature is that you can use it as a guideline for creating content. Let’s say you look up the term “keyword research”. You get a list of keyword suggestions on the left, and on the right you’ll see they’re attached to a ‘Parent topic’. What this tells us is whether or not these keywords deserve their own page, or should simply be a sub-heading on another page. We’ve color coded each parent topic to highlight this in a bit more detail. 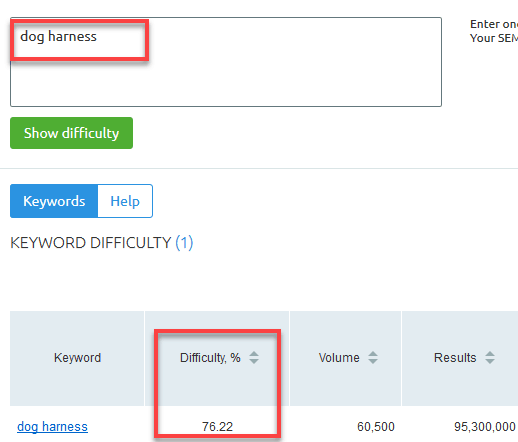 Ahrefs bases its Keyword Difficulty (KD) score on how many incoming links a given URL has – they even include that metric in their keyword difficulty scoring. There’s more to it than that, but the easiest way to understand it is that it’s based on the “page authority” model. So, how did it rate our sample keyword of “dog harness”? Does that result look familiar? It should, because it’s the exact same result we got in SerptStat. Up to quite recently, I would have considered KWFinder to be the next best thing to Ahrefs in terms of calculating keyword difficulty. But SerpStat has come a long way in a short time, it seems. And yes, we understand that one single KD score isn’t exactly an in-depth study, but it’s interesting, no? This is another feature where Ahrefs slaps the competition in the face and challenges it to a duel at dawn. That’s as much competitive analysis data as you’ll need to reverse engineer what any of your competitors are up to. As much as I love the filtering options in KWFinder, there’s something more intuitive about how Ahrefs manages this. It’s probably because the filters are included in-line with the keyword results. 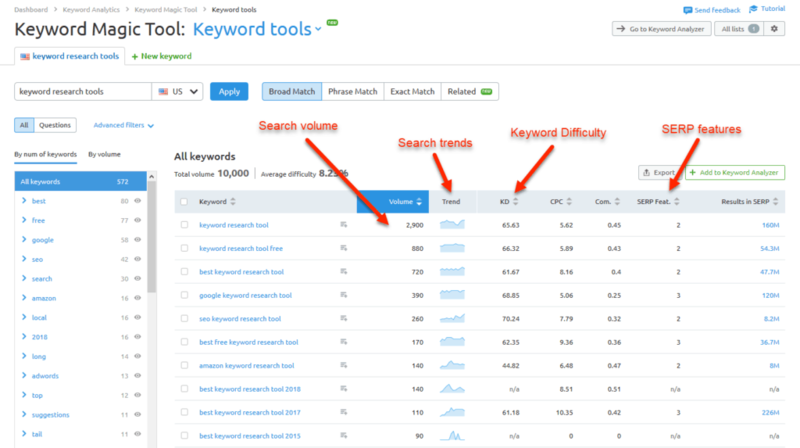 You can filter by keyword difficulty, search volume, number of words, SERP features (snippets, etc), include, and also exclude certain words. This is really tough, but here goes – it’s the ‘SERP overview’ (SERP analysis) feature. Because it’s saved me chasing keywords the wrong way up Search Intent Avenue several times. When you change the search region in Keyword Explorer…it resets the keyword field. Yes, that’s nitpicking but it really grates on my nerves. Anyone who takes their SEO seriously. As you can see by now there’s a vast difference between free and paid tools. 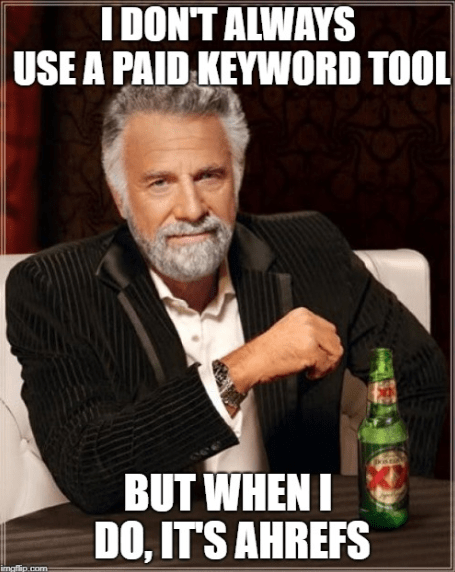 Sure, the day might come when a completely free keyword research tool knocks paid tools off their lofty perches…but it is not this day. If you’re a blogger or SEO with zero, or very little money, you can actually achieve quite a lot with tools like Keywords Everywhere combined with the free searches offered by tools like KWFinder. But a paid keyword tool is a very smart investment once you can afford one. Free tools can’t compete with the likes of Ahrefs or KWFinder. Or at least they can’t right now. The reason for this is that these hybrid tools are moving more towards becoming full-service SEO and content marketing platforms. Doing that requires the investment of a lot of money in a lot of technology. And free keyword tools (by definition) don’t make their owners very much money. What you will see over the next 2- 3 years is one or two of the more prominent free tools massively expanding their features and moving to a paid model but at the lower end of the pricing scale. Still Not Sure Which Tool To Buy? There’s one thing we didn’t include which is still a key factor to consider. For some, keeping costs down is a priority, and choosing a tool that ticks the right boxes without costing an arm and a leg is a more attractive option. For others, having access to the best possible tools in order to get the job done is the only thing that matters, regardless of price. So we thought it’d be a good idea to give you our personal recommendations, based on which of those categories you fall into. Value for money is something we can all relate to. And that’s particularly true in this market, where keyword research tools vary so much in price that it’s sometimes hard to know what you’re getting for your money. Truth is, keyword research tools rely on data, and data isn’t cheap. The best tools, as in the tools that offer the most comprehensive data, aren’t on the lower end of this scale as you can imagine. That said, there are some pretty solid, but affordable options if you’re looking to get the most bang for your buck. In my opinion, the best value keyword research tool would have to be KWFinder (read our review). This web-based tool starts at $49 per month (or $29 per month if you pay annually). KWFinder represents incredible value for money. On the other side of the spectrum, some people just want the most horsepower. 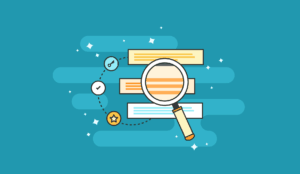 Thanks to fierce competition and constant updates in technology, some keyword research tools have become an invaluable hub of SEO and keyword data. The best premium keyword research tool – again, in my opinion – is Ahrefs (read the review). Starting at $99/month, it offers you an excellent keyword research tool, a super-reliable keyword difficulty scoring system, and a robust SERP analysis feature backed by a ginormous index of over 14 trillion links. For me (and the rest of Authority Hacker team), there’s really no other tool on the market that can replace Ahrefs at the moment. 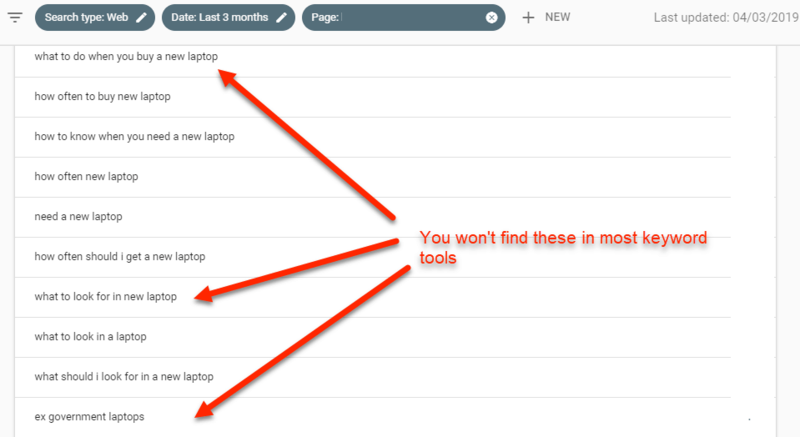 So, there you have it – our list of the best keyword research tools out there right now. It’s obvious from reading through all the comments on the older version of this review that there are more keyword research tools than there are hours in the day to review them. That being said, we are open to ideas on what to include in any future update.